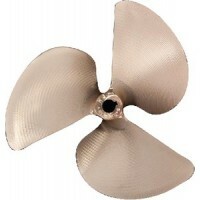 Highly polished, ultimate performance, stainless steel propeller. Standard 3-blade propeller can be .. Fit the following engines. 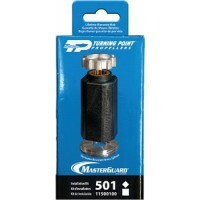 Model: Nissan/Tohatsu Outboards (90-140HP).. Fit the following engines. Model: Suzuki V4 Outboards (60-140HP)..
Hub masterguard rnd 2.5 gc mer Model: 201..
Hub masterguard rnd 2.5 gc brp Model: 202..
Hub masterguard rnd 2.5 gc yam Model: 205..
Hub masterguard rnd 2.5 gc suz Model: 206..
Hub mastrgrd rnd 2.5 gc nis th Model: 207..
Hub mastrgrd rnd 2.5 gc nis th Model: 208..
Hub masterguard rnd 3 gc merc Model: 21..
Hub masterguard rnd 3 gc brp Model: 22..
Hub masterguard rnd 3 gc yam Model: 25..
Hub masterguard rnd 3 gc suz Model: 26..
Hub masterguard rnd 3 gc hon Model: 28..
Hub mastrgrd rnd 3.5 gc ym hon Model: 12..
Hub mastertorque 4.25 gc yam Model: 500..
Hub mastrtorq 4.25 4.75 mc hn Model: 501..
Hub mastertorque 4.75 gc brp Model: 502..